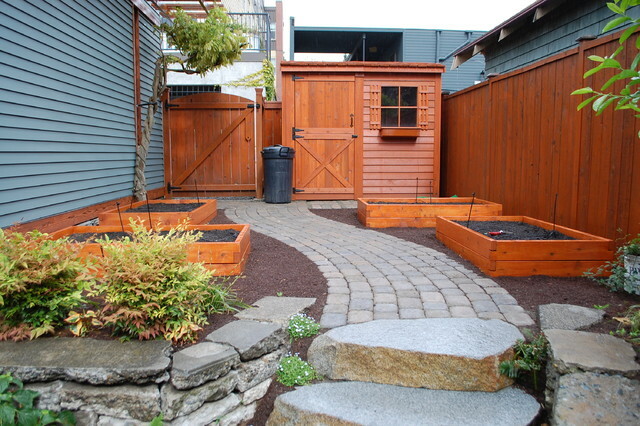 The shed, walkway, and the garden beds. This would be manageable in our garden. I like how this shed is built in the same style of the fence, so it blends in. HMMMMMM --- plant FOOD our front??? I like that the shed matches the fence.